Umbellularia californica of the family Lauraceae. Myrtle, acacia burl, California laurel, California bay tree, green bay tree, California olive, California sassafras, Pacific myrtle, mountain laurel, pepperwood, spice-tree and bay tree. Myrtle trees range in height from 40 to 70 feet although in some areas the trees are the size of shrubs. Average weight is 53 pounds per cubic foot with a specific gravity of 0.85. Care is required for seasoning green wood to avoid problems with warp and checking. Myrtle burls must also be seasoned with care. The wood is very hard and strong. It is a great wood for turning. 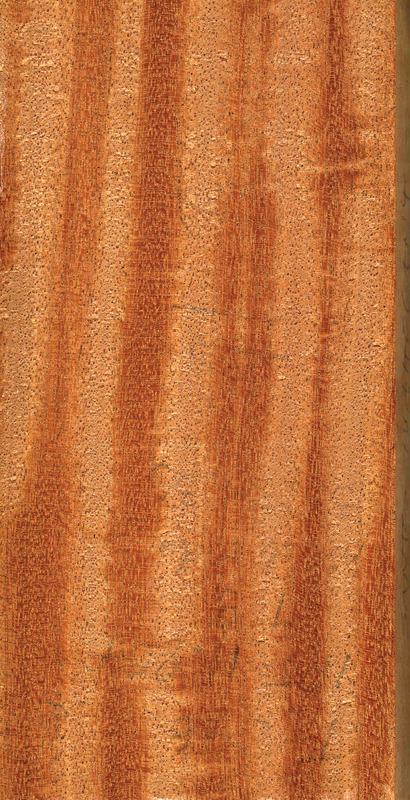 The wood can have straight grain or irregular or wavy grain. Firm texture. Can be difficult to work. The wood has the pores and distribution of walnut. Myrtle trees inhabit a relatively small area of the United States, but the trees' lumber and veneer have made a big impact on the woodworking world. The hard, strong wood from myrtle is a favorite for turnery applications, especially bowls and specialty items like candlesticks. Myrtle is also popular for high-end cabinetry and furniture. Other uses include joinery, wall paneling, boatbuilding and interior finish. Myrtle's hard-wearing properties also make it a good choice for flooring in homes and businesses. At one time myrtle was even used to make pharmaceuticals, according to A Natural History of Western Trees, by Donald Culross Peattie. "A volatile oil - limpid and straw-colored with an odor resembling that of nutmeg and cardamom - was distilled from the wood and leaves." This oil was then used to treat ailments such as headaches, colic, diarrhea and meningitis. Myrtle produces wood that varies from a sedate, plain heartwood of a golden yellow or brown with faint markings, to wood that is very dramatic. Myrtle stumps yield highly decorative figures. "The Fine Hardwoods Selectorama" describes myrtle as magnificent and highly figured. The pattern is "a mixture of plain wood, mottle, cluster, blistered, stump and burl figure with a scattering of dark purple blotches," according to the book's authors. Such highly figured myrtle and myrtle burl are often used in the highest quality furniture, marquetry and architectural woodworking applications. "Myrtle is hot right now," says Jim Dumas of Certainly Wood in East Aurora, NY. "It yields the most varied looking lumber and veneer of almost any species I know. No two trees will give you the same look. It is definitely in favor for high-end applications. Myrtle can be rather plain, but it is hard to find a truly plain figure. The dramatic look is the norm with this wood. Unlike some other North American species that yield burls, myrtle burls are readily available." The burl from myrtle trees comes from a root that forms on the stump of the tree. Interwood Forest Products Inc. of Shelbywood, KY, compares myrtle burl's looks to those of white ash burl in "Veneers - A Fritz Kohl Handbook." The burl is used for "high-quality architectural woodwork and furniture. Despite the burly texture, it is very easy to work and smooth surfaces are produced by all methods. Since myrtle develops a dark heart, differentiation has to be made between those veneers without heart, which are yellowish in color, and those having a dark brown heart. 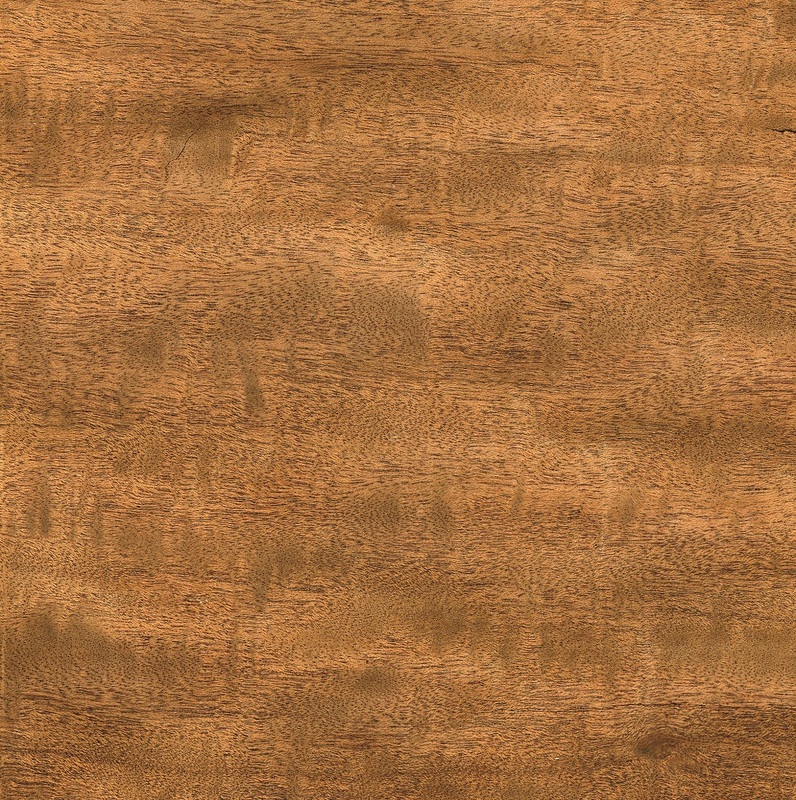 This is why myrtle burl is frequently stained to enable both forms to be used." The company recommends using a walnut-colored stain to compensate for differences in color within the burl. Myrtle is a member of the laurel family, although it is not considered a true myrtle or laurel. The tree is sometimes called acacia, but it is not actually a relative of the acacias, either. Know Your Woods, by Albert Constantine Jr., says that Myrtle is "distinguished by a strong, aromatic odor when the leaves are crushed. The leaves have been used as a substitute for bay leaves in flavoring meats and soups." That may also account for some of its other common names like bay tree, California bay tree, green bay tree and spice-tree. Almost every reference to myrtle includes a mention of its intense fragrance. In Trees, author Keith Rushforth writes about myrtle and its related species. "The plants contain aromatic oils and a sniff of crushed foliage is usually a delight. However, over indulgence in the fine aroma of the Headache Tree (Umbellularia californica) repays with a splitting headache after one or two hours." In North America myrtle is found on the western coast of the United States. The trees are especially plentiful in southern Oregon and northern California. Many believe that Oregon's myrtle has the most exceptional color and variety of figures. Myrtle grows differently from state to state. Culross Peattie said the tree "adapts itself variously to growth upon sea bluffs forever swept by salt-laden winds, or in the profound shade of mighty redwoods and Douglas trees, in the sun-scorched chaparral, on the open hills or in the depths of canyons." The bay laurel, which grows naturally in the Mediterranean region and provided the original bay leaf, was also famous for supplying the wreaths given to people of prominence in Roman times. The very old ceremony of honoring poets and winners with wreaths led to the term poet laureate. It also lent its name to the academic world. "This ancient practice has given us the term 'bachelor' as applied to recipients of degrees, via the French bachelier, from baccalaureus or laurel berry," according to Rushforth.